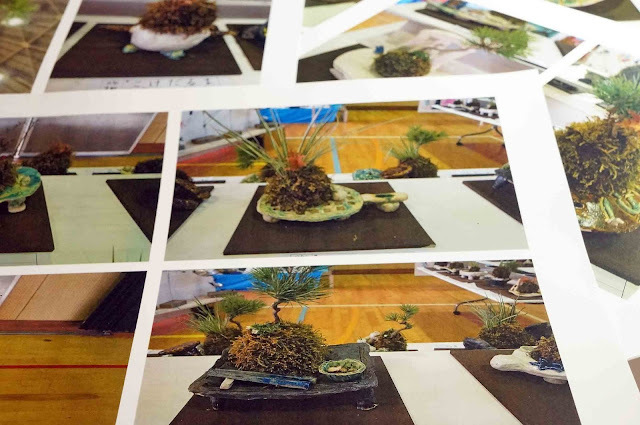 Last year, an art teacher who works in an elementary school in Suginami, Tokyo where I live, told me that she wondered if she could teach children Kokedama and exhibit their works at the school art festival held in February, 2015. Kokedama is the moss ball that the root of a plant is covered with (green moss), and seen as one of the bonsai styles. 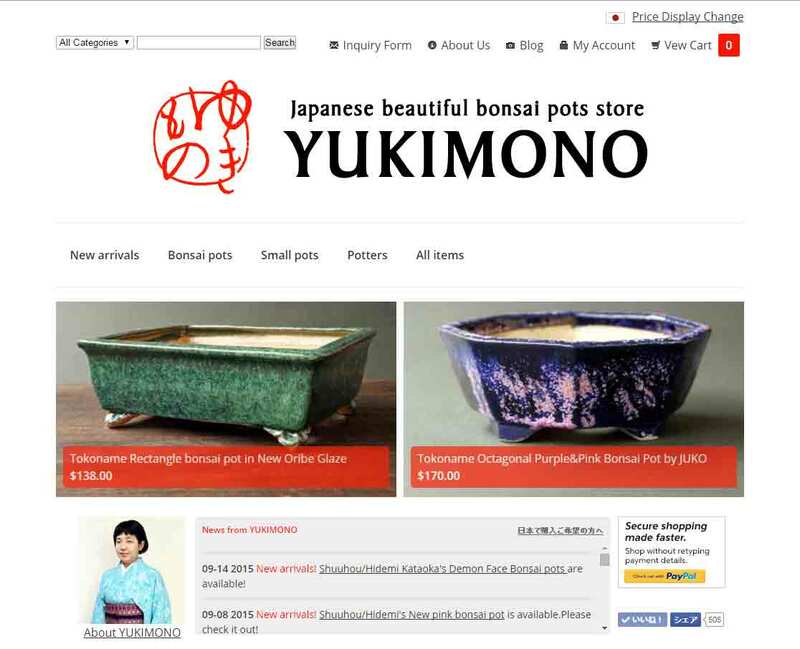 She told me that she had never done ‘Kokedam’ but would like to try doing it, and asked me if I could help her as she had no idea how to get hold of the materials. I told her that I would do it with pleasure. I was excited because making Kokedama would be first trial at an elementary school in Suginami. Her effort to challenge the students with a new thing was impressive. Japanese elementary school teachers are so busy these days that they can’t afford to introduce new challenges. I laid in a stock of many young pine trees, accent plants, moss and soil from a bonsai nursery as cheaply as possible, and delivered them to her art class last January. I also advised her how to make Kokedama and how to keep or water these plants so they could survive until the exhibition. She sent me some pictures of the children’s Kokedama after the art school festival. 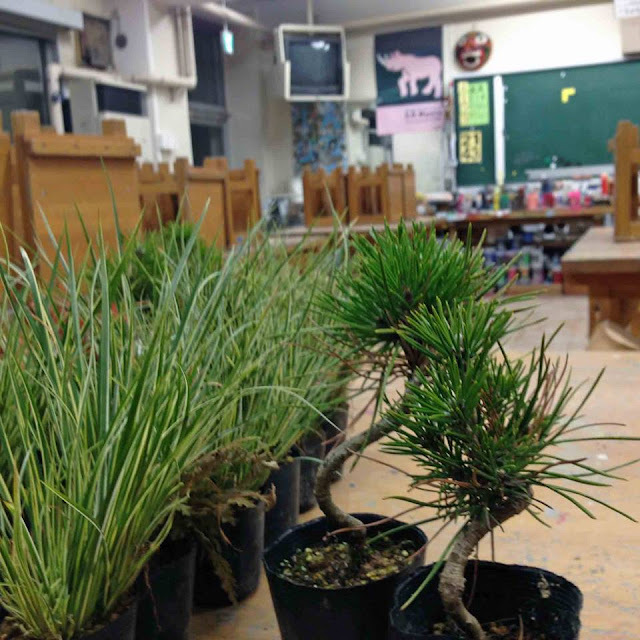 She told that her kokedama project was successful, the children enjoyed making Kokedama and their works gave attendees including their parents much pleasure at the school art festival. All of the Kokedama in the pictures were put on very creative ceramic plates made by the children. Their kokedama harmonized with their ceramic work, and the result was some splendid original art work, more so than I expected. She decided to teach Kokedama again this year and I am very glad to be able to help her once more.